If you have a large event with more than a few people and need to feed each and ever one of them, look no further than Green Shack Catering! Our sandwiches aren’t only for individuals. We can feed as many people as needed as long as you give us a bit of notice to prepare! 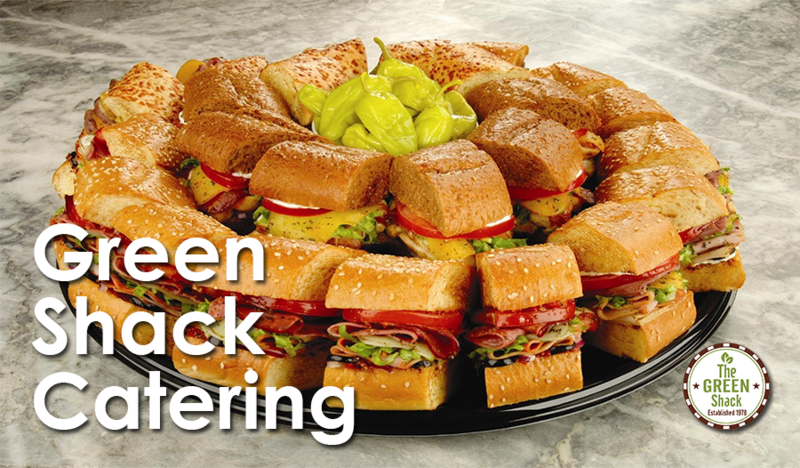 Order your catering needs straight from our Catering menu! Delivery available to businesses only. Green Shack – 2017 Yelp Award Recipient! Job Position Available – Now Hiring Travel Agent! If you are unable to access certain portions of our website, please let us know. Call us at (949) 407-7570 or email us at info@pctronics.us and we will help you with anything you are having trouble seeing or accessing.